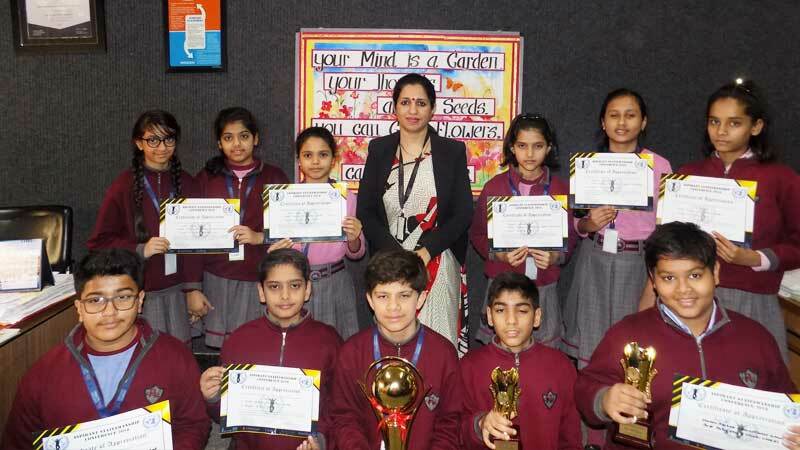 The young postulants of MRIS-14 from Grades-VI walked into their respective committees boastfully for ASC Reloaded 2018 held at Royal Oak International School, Gurugram recently. Through this conference, the politicos were provided an exclusive opportunity to shrive on the pertinent issues of the day. This in turn increases their articulation, practicality, cognition and reinforces the message of personal responsibility in this world. Ushering into provoking discussions and debates on issues such as Review of Article 370 of Indian constitution, Housing and Sustainable Urban Development, disputes between Israel and Arab and many more, the two-days Intra-MUN bolstered the youth to master their problem-solving, communication and leadership skills and step into the shoes of the delegates of the different nations of the world. An extensive coverage of the agendas in the committees was provided by the in-house newsletter, ‘Aspirant’, a handicraft of the student journalists, budding dancers and stand up comedians. Applauding the students for their assertive presentation, the outstanding speakers from each committee received the Best Delegate Award UNGA and the Best Delegate Award UNDP along with certificates of participation at the end of the event. Also, the best delegate award was bagged by Manav Rachna International School, Sector 14. ASC Reloaded was a fitting usher ceasing with brimming enthusiasm and fiery spirit to surmount all odds.